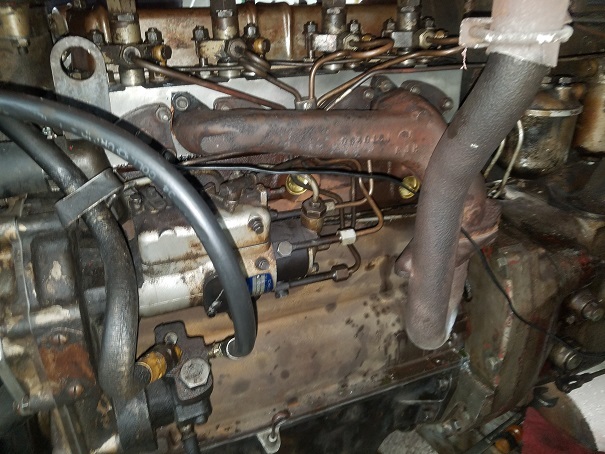 An Extremely smoky engine when it came in. A lot of motors never get heated like they should and sludge builds up inside. 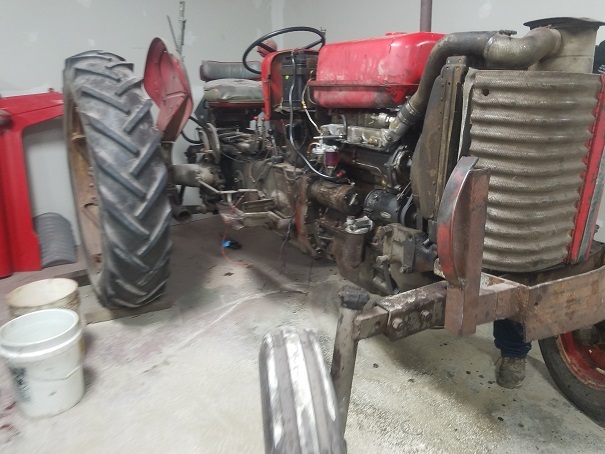 Also, the thermostat was never replaced in this tractor even after it's last overhaul. 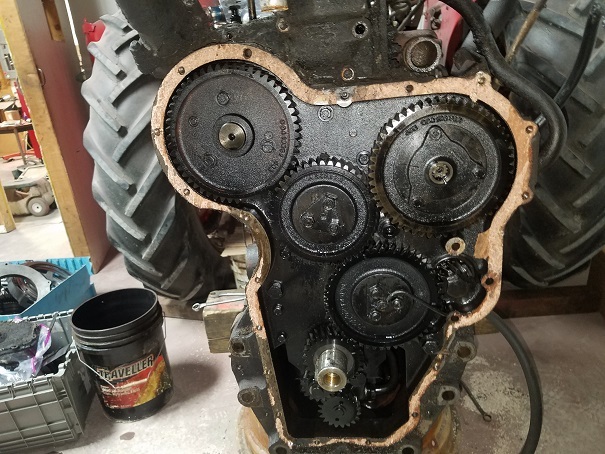 We found two main caps in the wrong direction on this motor and a cracked cylinder head. 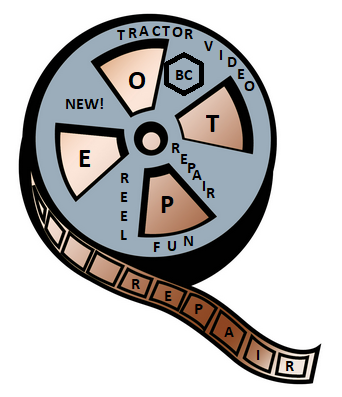 Motor oil changes are very important on diesel engines. 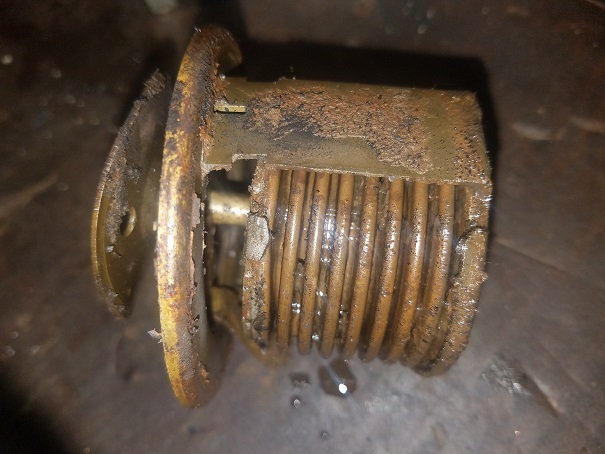 Dirt is the main enemy of motors and if your rings get dirt in the cylinder walls, they loose compression and wash out causing blow-by as well. 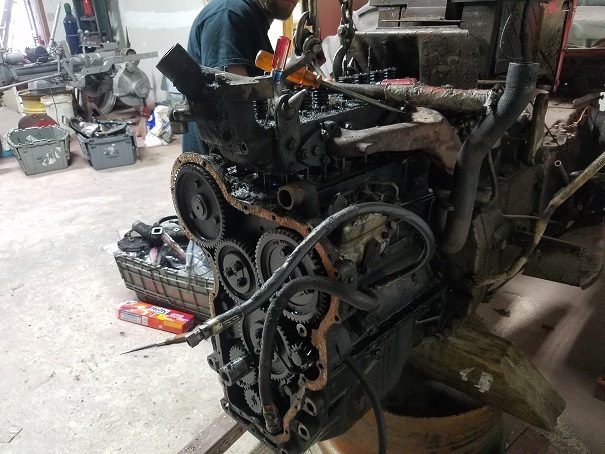 Crankshaft was reground .010" mains and rods. One rod bearing had a large groove in the center. Usually that type of groove is caused by dirt during past installation. 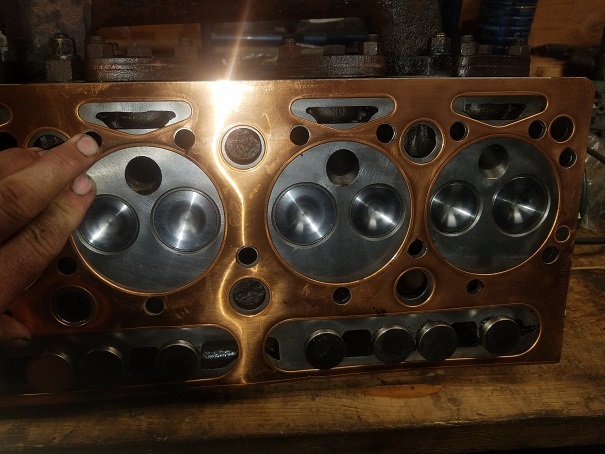 The new cylinder head needs some machining before it can be used. 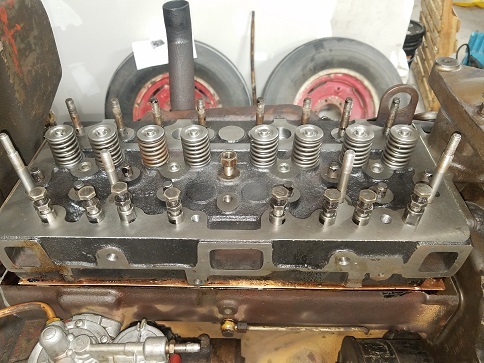 Early Perkins motors had a larger center head bolt so the head had to be machined to 19/64" and an oil hole had to be plugged but otherwise it worked fine. The manufacturer of this head does not tell you this. 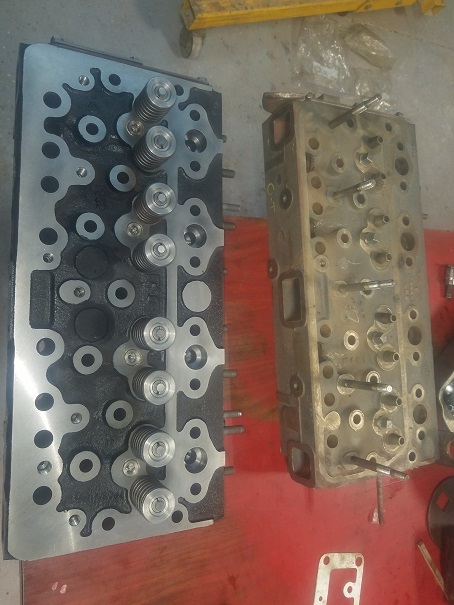 There are also two different head gaskets on these motors because of the center bolt size. It's to prevent you from puttong the wrong head gasket on from a P4 engine. However, you still have to mill the new head or it will not go down. 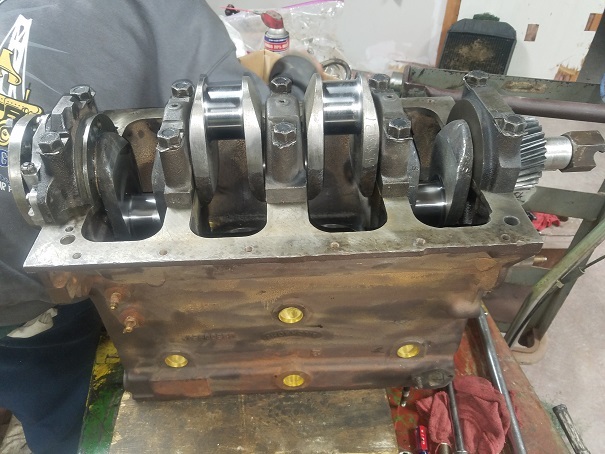 Also had to grind two bolt heads on the front of the water plate to allow the new water pump. 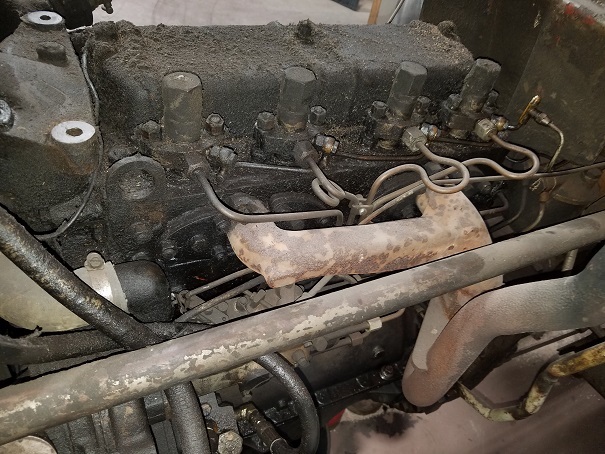 Old one was cracked Prior injection system was good. Getting ready to roll outside. 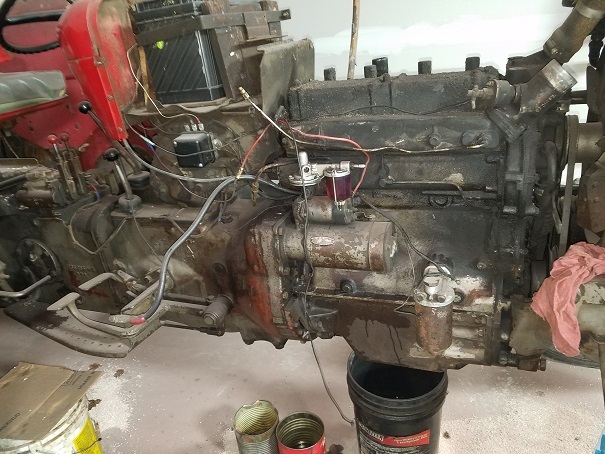 Once outside, engine gets to run. 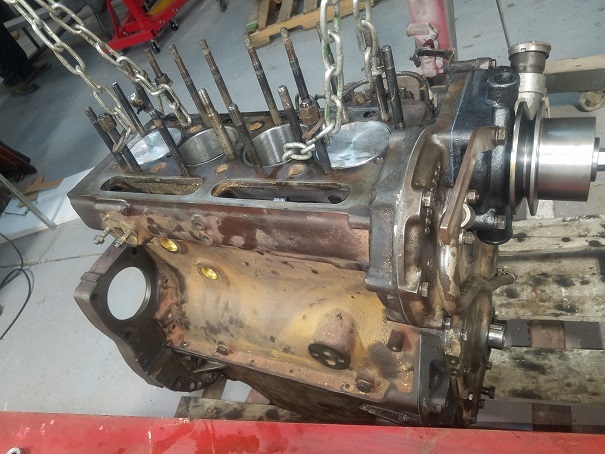 New vs Used Head Going back together after shopped Crankshaft installed Ready for tractor installation. as the engine stand Off with the head. Tight fitted with 19 head studs. 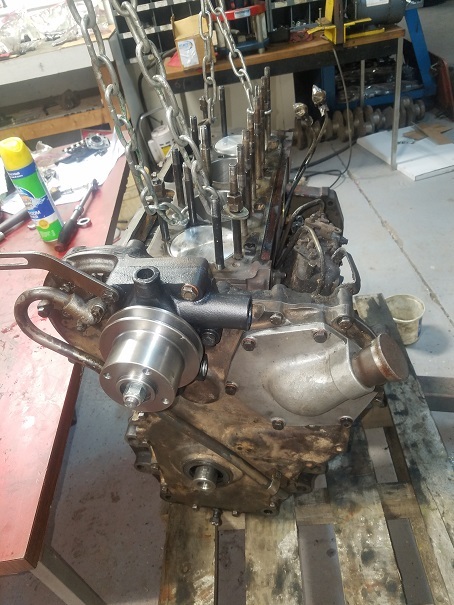 New Sleeves, Pistons, Rings, Reground Crankshaft, New Cylinder Head, Connecting Rods were reconditioned and new bushings installed. 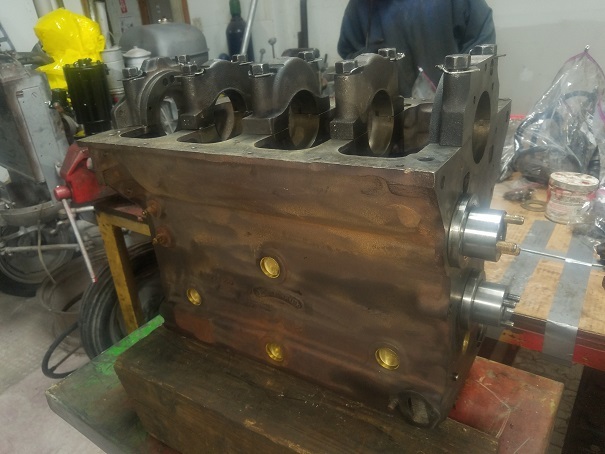 Cylinder block had all sleeves removed, hot tanked and rechecked for flatness and alignbore of the crankshaft journals. 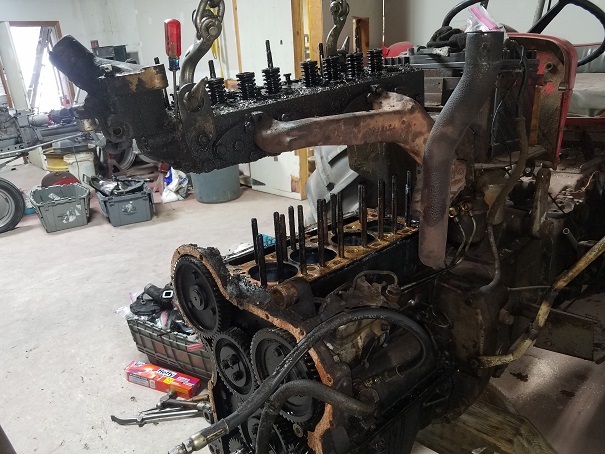 Injectors were dissassembled, re-tested and was within specifications and were reused. 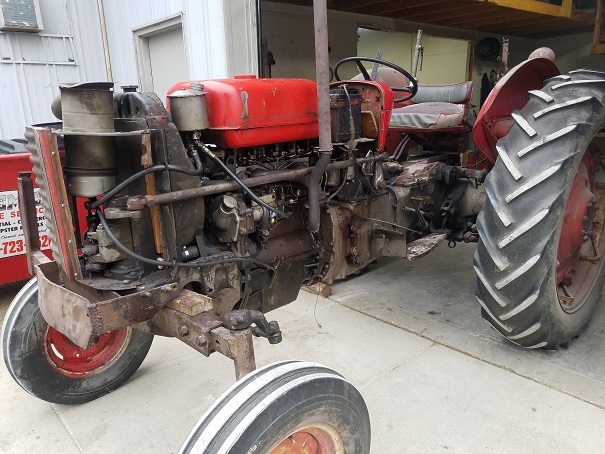 This tractor is finished and turned out great. Runs like a top and now the charging system repaired it's ready for work.